How to reorganize a kitchen, Part 3 | How to reorganize a kitchen, Part 3 – oh, that's tasty! First, read Part 1 and Part 2.Enough with the mental exercise; let’s get down to business! Oh, and if you’re also tossing trash and recyclables while you pack, get two different colors of trash sacks, and consistently use one color for each type of waste. Pull and pack. Whether or not you’re actually moving, it would be ideal if you could set up some table space in or near to your kitchen where you can lay everything out. Pull out all the Zone 2 & Zone 3 stuff (leaving the Zone 1 stuff, ’cause you need it every day, right?). Then give it another assessment: Have you discovered more stuff you don’t really need? Add it to your give-away stack. Now, start grouping together things that you use together. Extra dishes that I use for large dinners can be packed with the linens or holiday table decorations that normally get pulled out at the same time, for example. 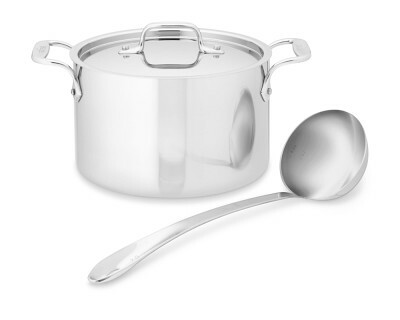 Another idea: my soup ladle is bigger than anything else in my spoon-and-spatula canister that I keep out on the counter, and I rarely use it unless I’m making a big pot of something, so now I store that big soup ladle and my big soup pots together. If you’re moving, start packing up the Zone 3 stuff first, because you can live a couple weeks without it. LABEL EVERY BOX CLEARLY! Write on the box a good description of its contents. Here are some nice looking labels for moving — free printables! Why detailed labeling? Your Zone 3 stuff may not get unpacked for a while, so a few months later, when you’re ready for a big gathering, you might not remember whether “glass stuff” means extra drinking glasses, or glass cake stands. Repeat the process with the Zone 2 stuff. Resist the urge to mingle the two if you have partially-filled boxes. Whether your reason for this is downsizing or a more efficient kitchen, these zones will start to make more sense once you begin unpacking and putting away. By the way, where to get good, free boxes… Liquor stores are always a great bet. They get shipments in frequently, and the boxes are made to hold multiple glass bottles of liquid, so they’re good and sturdy. 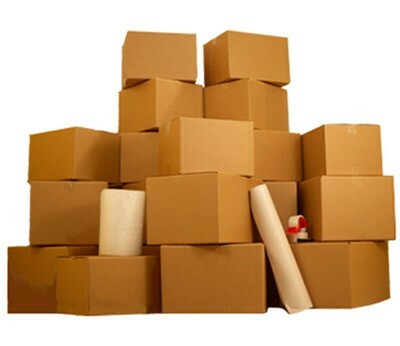 If you stop in one and ask for boxes a few days before you’ll actually need them, they may be willing to save them for you over several days. Be sure to say thank you! Another source is friends or family members who work in a place that receives regular shipments and normally breaks the boxes down for recycling. Your local craigslist or freecycle is another great source. Next installment: Zone 1, and your moving-day kitchen kit.